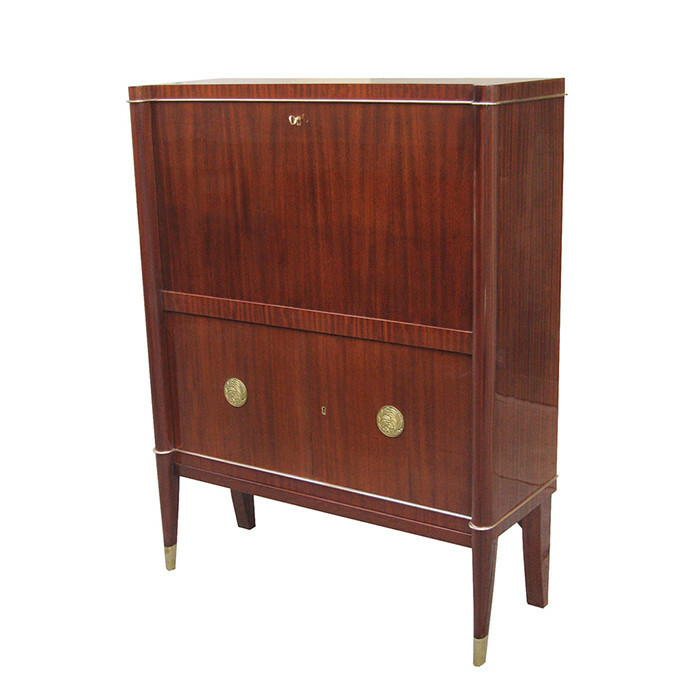 An Art Deco bar cabinet designed by De Coene Frères. Mahogany with two decorative patinated bronze medallions, sabots and details. With original De Coene label. Dimensions: H:51 W:39¾ D:14½ Inches.